Unrestricted 2,072 heated sq. ft. home in excellent condition on Gibbtown Road which is about halfway between Oriental and Bayboro. 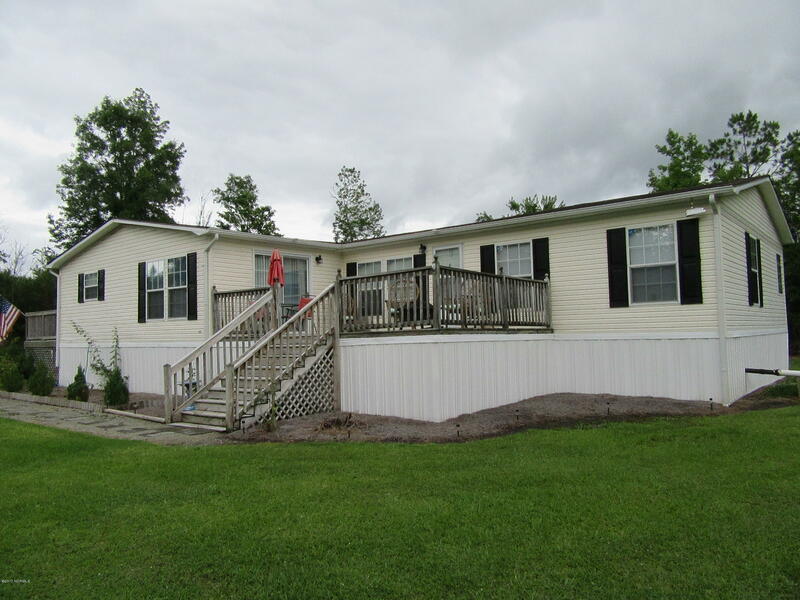 This 3 bedroom, 2 bath home sits on 1.0 acre surrounded by natural settings. Gorgeous kitchen with a spacious breakfast area & cathedral ceiling, huge dining room/living room combination with a gas-log fireplace & cathedral ceiling, unbelievable master suite with his & hers walk-in closets and a master bath with a Jacuzzi tub, double-sink vanity & a shower! Split living arrangement with two spacious guest bedrooms! Nice laundry room & Foyer. Outdoor entertaining at its best from this over-sized deck overlooking the countryside! Detached two-car carport with a spacious workshop! No HOA dues No Restrictions! Move-in ready!